6 Piece Taylor Comforter Set Only $44.99! Down From $150! You are here: Home / Great Deals / 6 Piece Taylor Comforter Set Only $44.99! Down From $150! Macy’s has this 6 Piece Taylor Comforter Set on sale for $44.99 (Reg. $150)! 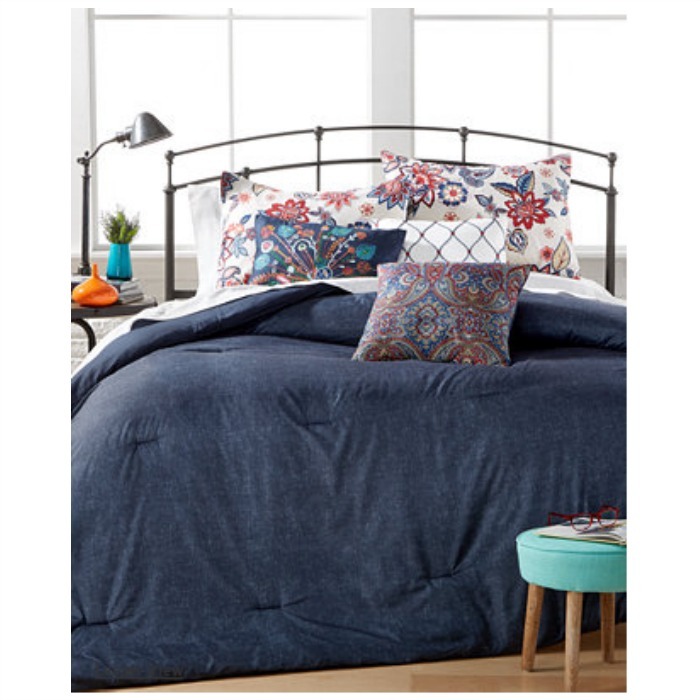 Lively decorative pillows and shams, featuring vibrant floral prints and embroidery, perfectly accent the soft, subtly-printed dark blue grounds of these Taylor comforter sets for truly-contemporary bedroom style and comfort.